Renown for its seafood, Hakaniemi Hall is a place for Finns to come together, socialize, and enjoy shopping somewhere other than a supermarket. The Hall has around 70 shops spread over two floors, the first with food and the second with specialty shops – including a second hand bookstore, a shoe repair store and a textile handicrafts store. In addition to the shops, it has six cafeterias with all kinds of food, including an inexpensive traditional Finnish lunch. Anchored by the old brick market hall, the Square is spacious and it has access to water. As with most seafood markets, it is difficult to avoid the pungent smell of fish, but the market itself is clean and well kept. The square and hall are frequented by a diverse clientele, primarily native Helsinkians rather than tourists. The clientele includes students and artists living nearby, people looking for specialty items, and even the President of Finland. It is centrally located and easy to bike or walk to, and the Square is a transit hub – trams, buses and the subway all make stops there. 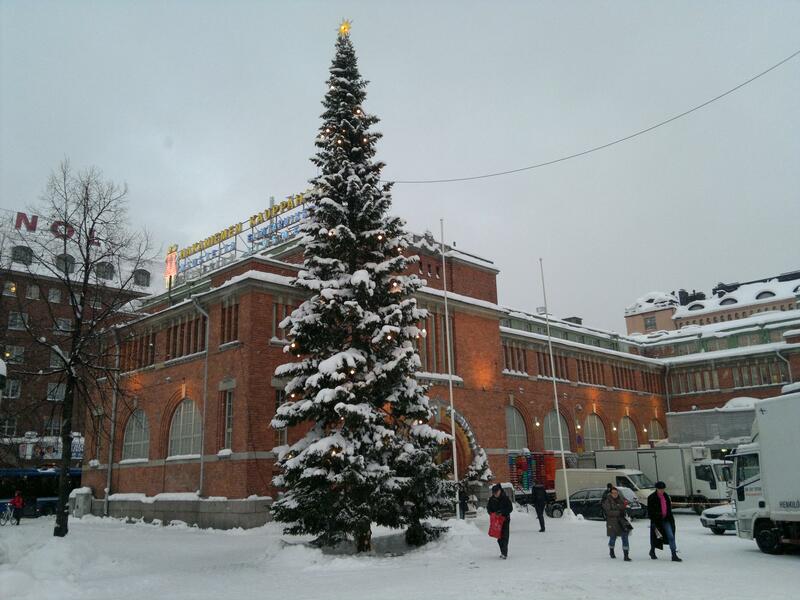 First opened in 1914, Hakaniemi Market Hall is located in a two story brick building on Market Square, a former working class district in Helsinki. It is one of three remaining old central market halls in the capital city, and is the liveliest of the group. 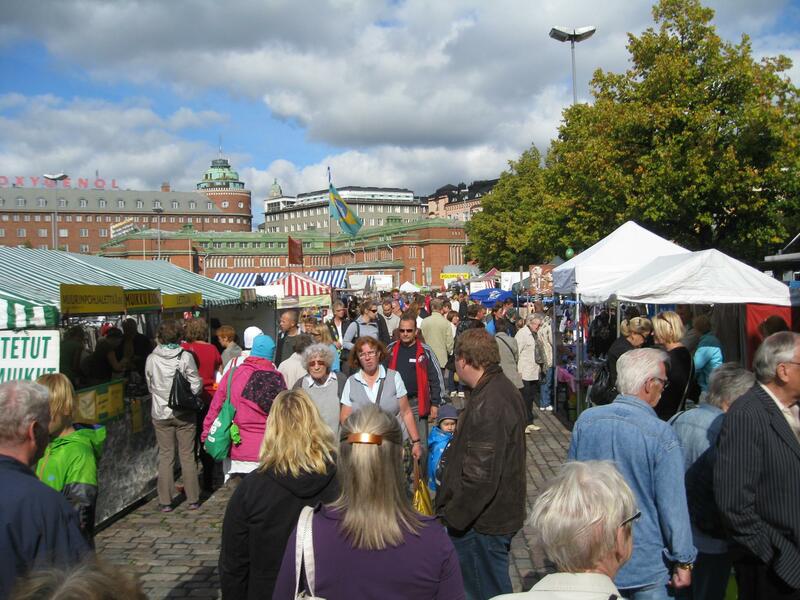 The Square serves as the center of the surrounding Kallio neighborhood, and during the summer it hosts a daily outdoor market.